As you are aware gun owners have been taking a pounding from the anti-gunners and their allies- the main stream media. Those two groups have declared war on gun owners and we will be maligned, degraded, demonized, and bullied in an effort to turn one group of gun owners against another. Don’t fall for it. I am a strong believer in the Farmer Doctrine. Amen! 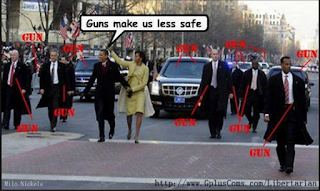 You heard BHo say today that gun control is is holy mission for 2013... the state media, Pravda, will do everything in its power to help the Dems accomplish this. JOIN OR DIE! It's the end of the Second Amendment in the United States. For once, I'm 100% in agreement with Brown. Read the whole thing yourself. Just the concept of putting all the "grandfathered" ARs and other "evil" rifles, shotguns and handguns on the NFA list, requiring maybe 20 million Americans to go through the NFA licensing/taxation procedure to create a handy list for the confiscation that will come later — remember, under Feinstein's proposed law grandfathered guns can't be transferred, so they all end up in the government's hands eventually — is breath-taking. The real question is, "Can it pass?" The answer is, as written, no. Probably not even the Senate, much less the House. 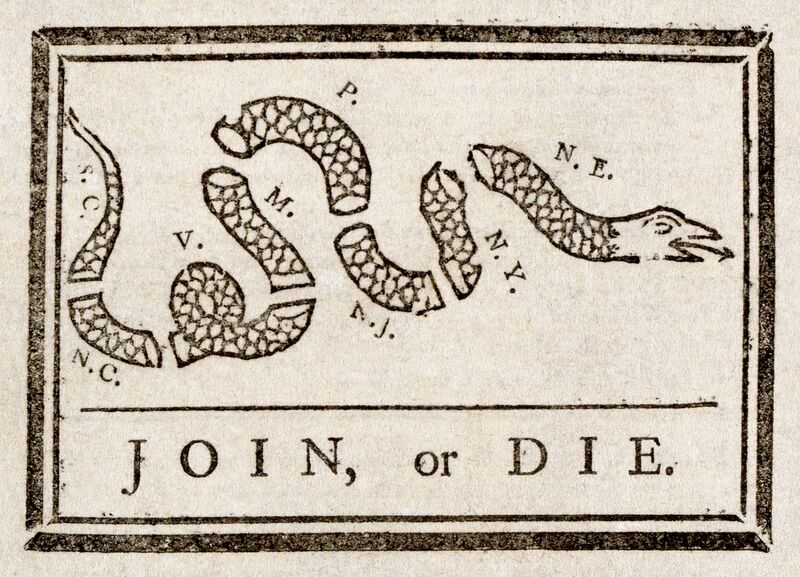 I think what we see here is a stalking horse, a super radical proposal to make the crap that Greasy Joe Biden's "Blue Ribbon" coven of gun banners will excrete smell a little more like chicken salad. Feinstein is trying to set up the play for "moderate" gun reform, except that the "moderate" gun reform will be the most radical ever envisioned in the United States. It is hard to say, at this point, whether it is merely grandstanding by Feinstein that will soon be forgotten, or whether it represents the first shot in an all-out war against gun owners (i.e., red America) by the Democratic Party. I tend to think this is the war we've always thought was coming. This is the Democrats' best — and last — chance to disarm America, and they're going to do everything in their power, honest or dishonest, to accomplish their goal. I hope it goes without saying that their media handmaidens are already all-in...expect a flood of polls suggesting the America public has seen huge swings in support of gun control, the endless procession of Hollywood whores and turncoat Republicans...it will all be smoke and mirrors. Trust your heart and trust your gut. We must remember that the goal is always confiscation; no matter what they say, that's where this path leads. Tyranny always comes with little baby steps, but in the end the boxcars always roll east. Demonizing those who support gun freedom was always intended as a weapon to silence them. It was also critical that we, law-abiding gun owners, become the Other. By dehumanizing us and painting us as evil, it is that much easier to strip us of our rights. But gun freedom advocates fought back. Using the mainstream media, conservative media and especially social media – we need to understand its huge significance here – gun freedom advocates countered liberals’ bogus “facts.” Media reports about “automatic” weapons were corrected, clownish statements about “high caliber magazines” and “large capacity round” were mocked. The struggle raged over millions of Facebook posts. The average citizen saw gun banners ask “When will America control access to weapons?” and then saw several experts among his or her friends post about the significant hurdles one needs to get over to get a gun. Truth bypassed the mainstream media and became a weapon for the side of fundamental rights. We're not out of the woods by any means, buts the fight is engaged, and it's up to us, We the People, to push toward victory. Part of their resentment of us over intervention in the two world wars is the resentment of parents whose kid intervenes in an argument – particularly if the kid was right. If you view the long war of the twentieth century as a civil war, they resent we came in and settled it. And they’ve done a lot of projecting – aided by Soviet propaganda – they call us imperialist and war mongers, because they can’t bear that in themselves. And also they have no clue what makes us work, not really. They don’t know why we innovate more than they do. They don’t know why our consumer society is what is softening their politics advancement into the rest of the world. They know it, but they resent it. Definitely read the whole thing! I found my ideal Christmas present online last night, apparently the last remaining mil-spec AR buffer tube in America — perfect for the project that's scattered all over my office. Sort of looks like an AR exploded there...I wonder if I can remember how to put it back together? 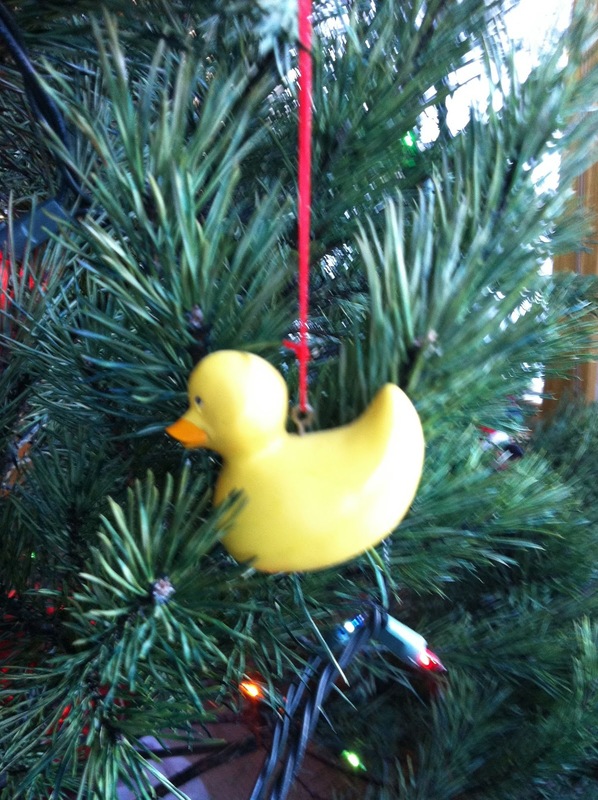 Worse comes to worse, I'll call Patrick Sweeney...since it's Christmas he'll probably want a credit card deposit. Of course, it's a crap shoot as to whether I'll actually get it...some of the stuff I ordered early when it was listed in stock has been subsequently cancelled, or backordered until the end of the next Mayan calendar. I have reviewed the proposed legislation. It asks to ban future production or import of ANY AK, AR or anything that looks or functions like these rifles. It hopes to also ban extended shotgun tubes and to limit all future rifles to a maximum capacity of 5-rounds and handguns to a max of 10-rounds, except for .22 cal. Also included in the legislation is a separate section seeking to ban future production or import of any hi-cap mags, max 5-rounds for rifles and 10-rounds for semi-auto pistols. It specifically lists about 900 long guns that are legal, but all are bolt action, pump or single shot, not a single semi-auto rifle other than .22lr! There will likely be multiple, competing versions of legislation as the Dems line up to see who can offer the most restrictive language. If you want a modern sporting rifle, aka assault weapon, I suggest you get in line to get one now. A point I'd like to make here...I have seen criticism on other sites of the NRA and various strategies. My friends, this needs to end NOW! 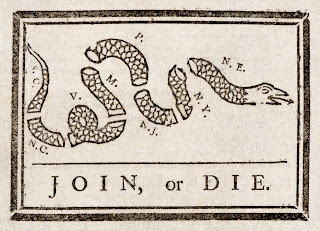 The battle lines are drawn, and they are the lines we will fight on. The NRA will lead that battle, with SAF, GOA and NSSF — and every one of us — providing support. If we survive this, we can have long, penetrating, pointless discussions over "angels dancing on the head of a pin" doctrine and who we do or don't like. In the meantime, STAND DOWN! 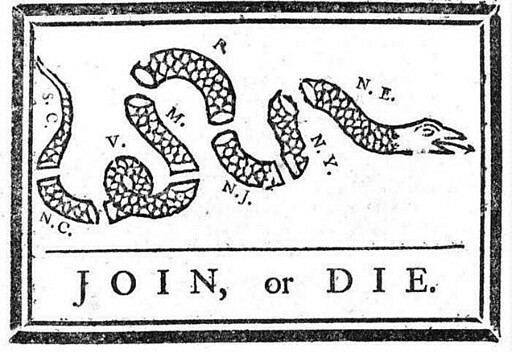 As the flag says, "Join, Or Die." I'll be cooking today — the basics of oyster/sage dressing. cranberries with sour cherries and rum (a favorite at Thanksgiving), Chambord chocolate mousse. If I get a few spare minutes I'll go back to torturing that AR back together. Have a safe Christmas Eve, keep your eyes peeled for any sign of the Wild Hunt and try not to frighten Santa too much. ....it's 5 PM on the night the world was supposed to end and we're all still here...what a rip-off! Now we're back to life in the hot zone. Today President Obama called for the public to pressure their legislators on gun control...hey, I totally agree! EVERY ONE OF YOU needs to call, write. email, text, visit personally, whatever with your legislators, national and local, and tell them that you are UNEQUIVOCALLY AGAINST THE GUN BANS! You are unequivocally against the demonization and ban of the most popular, best selling, rifle in America. You are unequivocally against a useless "magazine capacity ban" drafted by people who wouldn't know a firearm from umbrella stand. You are unequivocally against the "solution in search of a problem," of closing the nonexistent gun shop loophole. You unequivocally support ENDING gun-free zones. You unequivocally support placing armed guards in our schools. You are DISGUSTED by the blood libel brought agains gun owners, the industry and our organizations by those who would strip of of our rights! BTW, did you see Andrew Cuomo's plan for New York State? Cuomo indicated the state will likely force some kind of permit process on owners of semi-automatic “assault weapons.” In addition to generating revenue and expanding the size and reach of government, the effort will allow the state to confiscate the weapons of citizens who do not comply... “Confiscation could be an option. Mandatory sale to the state could be an option. Permitting could be an option — keep your gun but permit it,” the governor said. ...I have many friends, including one of my best friends, in Newtown, the home of the National Shooting Sports Foundation, and they are living in a hell I can't imagine. Again, we are reminded that Evil does indeed exist, and that despite our most fervent beliefs, no place is truly safe. I will speak to this nightmare on Wednesday's podcast. Society’s well meaning, but totally deluded sheep, are obsessed with their little white signs and placards declaring this building or that to be a “No Gun Zone” or “No Weapons Permitted”. (Unless of course you are a homicidal maniac and don’t give a damn about the sign, then feel free.) Ask any cop how effective a civil protection order or restraining order is. It’s a piece of paper, nothing more. Shiny placards, clever little signs, and policy papers don’t stop crime. They might give the prosecutor one more charge to hang on the guy if he’s ever brought to trial, but they don’t stop crime. You can’t sterilize the world. People should have the ability to defend themselves. Mass shootings take many lives in part because no one is firing back at the shooters. The shooters in recent massacres have had many minutes to complete their evil work, while their victims cower under desks or in closets. One response to the tragic reality that we are a gun-saturated country is to understand that law-abiding, well-trained, non-criminal, wholly sane citizens who are screened by the government have a role to play in their own self-defense, and in the defense of others (read The Atlantic article to see how one armed school administrator stopped a mass shooting in Pearl Mississippi). I don't know anything more than anyone else about the shooting in Connecticut at the moment, but it seems fairly obvious that there was no one at or near the school who could have tried to fight back. The general decline in gun-related violence and the inability even of mental health professionals to identify future mass killers should be the essential starting points of any serious policy discussion generated by the absolutely horrific slaughter at the Sandy Hook Elementary School in Newtown, Connecticut. We should also add a third starting point: Few good policies come from rapid responses to deeply felt injuries. A good man will do the right thing. It is his nature. But if you disarm him (or her) you make it more difficult for the good man to confront and defeat evil. You allow evil to fester, spread and destroy all that is good in our world, if not the world itself. In just three minutes, Adam Lanza destroyed the safe little world of Newtown Connecticut. In truth, it was never safe. In truth, none of us are safe. All of us, especially those caring for our children, should be prepared. You want to know why. This may sound cynical, but here's why. It's because of the way the media reports it. Flip on the news and watch how we treat the Batman theater shooter and the Oregon mall shooter like celebrities. Dylan Klebold and Eric Harris are household names, but do you know the name of a single victim of Columbine? Disturbed people who would otherwise just off themselves in their basements see the news and want to top it by doing something worse, and going out in a memorable way. Why a grade school? Why children? Because he'll be remembered as a horrible monster, instead of a sad nobody. So congratulations, sensationalist media, you've just lit the fire for someone to top this and knock off a day care center or a maternity ward next. You can help by forgetting you ever read this man's name, and remembering the name of at least one victim. You can help by donating to mental health research instead of pointing to gun control as the problem. You can help by turning off the news. You get it...am traveling pretty heavily headed into the holidays, getting up very early and collapsing into the hotel bed too tired to post. Couple of quickies...I finally got a chance to handle the DoubleStar C3, the Constant Carry Carbine. It is all that and more...5 1/2 pounds without optic but with steel BUIS! As you guys know I've been fretting over a breakdown AR as light as you can get it; my result isn't even close to this. The "pencil" barrel, 9-inch Samson Evolution forend and the great ACE AR-UL-E 7-inch stock keep the weight not the featherlight category. Add an Aimpoint Micro or a Trijicon RMR, a small light and you've got what is now the ultimate package carbine to long driving trips or to carry as luggage on the plane. I think I'm going to put one of these guys on order as soon as I get home. 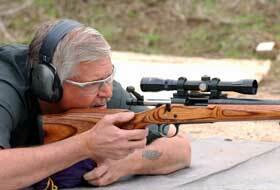 In fact, the themes for SHOT 2013 Modern Sporting Rifles is "light" and "SBR." Expect to see a massive number of SBRs at SHOT...everybody is offering SBRs, and apparently the civilian demand is there. Probably a good thing that the NFA Branch is adding 10 new examiners to deal with the flood of Class 3 requests. I'm putting in paper before the end of the year on a 10-inch .300 Blackout project myself. Rail systems have gotten skinnier, lighters and in many cases optional. Stag, for instance, lopped pounds off their piston gun with a really cool retro triangular forend. Lighter is a good thing. BTW, congrats to Rapid Fire co-host Iain Harrison, who's taking the helm of the hapless RECOIL magazine, where the previous editor shot himself in the winkie with ill-advised antigun word bullets. If anyone can turn it around, it's Iain. BTW BTW, RF will be back for a second season! Man, my left ear never cleared from my last flight, because I have a Terminal Ebola Head Cold! Driving me plum crazy, I'll tell you! Another use for Dremels...LOL! And man, am I jet-lagged out! I kept popping awake at odd hours last night and wondering where I was. LOL! Anyway, it was a great opportunity to "get inside" a big company like Armscor/Rock Island Armory. I don't like the package trips with 20 other journalists...I much prefer one-on-one, where I have a chance to sit down with the manufacturing manager, the QA guys, people in research and development, etc. because that's how you really get an idea of how a factory is running and how it's likely to run in the future. The design and the process tell you huge amounts about the gun. One of the things we talked about at some length is the challenges of the 1911, a gun designed when precision handwork was cheap and machines expensive (or nonexistent), in a 21st Century manufacturing environment. Right now, Armscor is casting their frames, but forging the slides. They're working toward a fully forged version in the next year (I saw the test forgings). I thought it was interesting that they were EDM'ing the 1911 breech faces, one of the more critical, and complicated, cuts. I'll be talking about it more in this week's podcast. And, yes, I really liked shooting the .22 TCM...yes yes, I know that all the calibers ever needed have already been invented, but then again, I have adult attention deficit disorder...LOOK! A kitty! 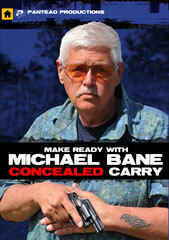 BTW, check out this review of my concealed carry video from Kevin at Misfires & Light Strikes! ...such as it is, with Wednesday's podcast. Looking at new products for SHOT this week. Did an interview with one of my counterpart television shows here in the Philippines late yesterday after an afternoon in Batanga in search of the illusive street balisong. If I'd had time I would have visited with the famous knifesmiths, but as it happens I have a gun, not a knife, show...also didn't have Michael Janich as my tour guide, LOL! If I could figure out a way to I port Philippine jeepneys into the U.S., not only would I be rich, but I believe the oceans would stop their rise and the planet would begin to heal. In short, pretty cool! 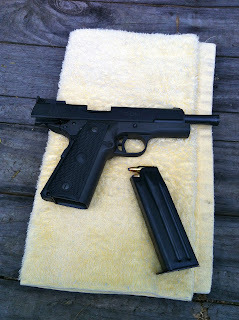 A hoot to shoot -- very little recoil (say .22 Magnum-ish), big muzzle flash and seriously loud. Forty grain bullet @ 2000 fps out of 5-inch 1911. Great performance in gellatin...I think you're starting to get up into hydrostatic shock country, but we didn't have the ultra-high speed camera on this one. Have a high-speed session scheduled in early January, and I'll run the .22 TCM on it then...I'd like to see the wound cavity develop. I also want to do some penetration tests, too...was interesting how the bullet performrped in Jello...it either fragment early in, chewing an impressive mound channel, or, in one case, mushroomed perfectly and stopped maybe a quarter-inch from completely penetrating the 15-inch block. Gosh, might be nice to have a tack-driving bolt gun that uses the same 17 round mags, wouldn't it? Hummmmmmmmmm. I think I mentioned I got .22 TCM brass, bullets and loading dies from Fred Craig, and Hornady has a 35-grainer that should work. And to head off the "but why, Michael? ", I've been contemplating a little .22-ish project for a while now. I've looked at 25/20, .22 Hornet, .221 Fireball, .22 Jet, .256 and the 5.7 x 28. I've got a good bit of experience with the 5.7 in the pistol and carbine configs, but zippidy-do-da on the others ( well, maybe a little with the Hornet, but It has been a long whole back) When Armscor signed on with SG and I reconnected with Fred Craig after many years and started hearing about the TCM, my interest in the little .22 project got bumped up. BTW, I have one of the new Leupold Mark AR Mod 1 1.5-4... Plant to mount it on Colt 901 .308 next week just to try it out. Will post when I can...sorry about Podcast repeat...hey, only my 4th in 293 weeks! Moron of the Day Alert!